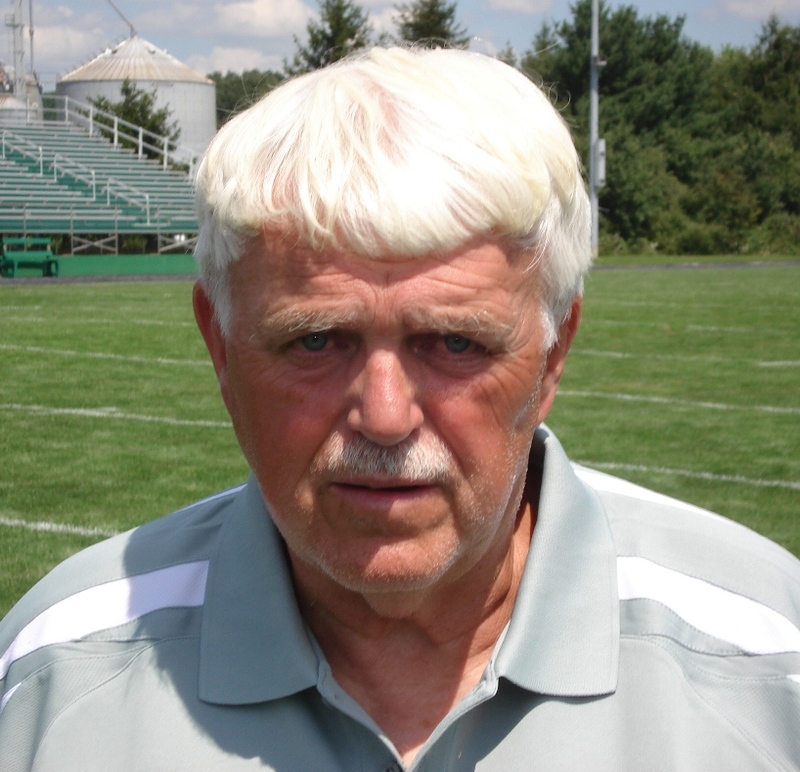 Keith Schrock has helped put the foot in football at Smithville High School. And he’s placed the school’s track team in the fast lane. Before he entered SHS at the dawn of the 1960’s the Smithies had never won the Wayne County League championship. And after Schrock the All-District, All-League, fullback graduated-a WCL title came the next year- they endured an 18-year drought before winning another championship. In his 19 years at the helm, his Smithies have won eight conference championships and he has compiled an overall record of 118-74-3. Schrock is second in conference victories only to former Dalton great Billie McFarren, a Wayne County Sports Hall of Famer (’78). His win total ranks third among all-time Wayne County coaches only to McFarren and Mo Tipton (WCSHOF, ’86). More important than individual honor to Schrock, however, is that Smithville has qualified for the State playoffs three times. The Smithies were the first Wayne County Athletic League team to reach the playoffs, back in 1984. They were also the first squad to do it twice, in 1990, and they were the first to pull off the hat trick when they accomplished it again in 1994. Those accomplishments have earned Schrock eight WCAL Coach of the Year awards, an All-Inlands District COY honor and State runner-up selection as COY. But Schrock the track coach has had an equal amount of success. The boys coach for the last 28 years and the girls coach for the last 18; his teams have won 17 League championships-seven for both the boys and girls. Perhaps the one statistic that tell the story best about Schrock’s coaching abilities is that in his 28 years in track, he has sent a representative to the State meet in Columbus in 27 of these seasons. Four Smithville athletes have been able to bring home a State championship-Larry Kolic, Gary Blough, Doug Henshaw, and Tonya Kennedy. The boys and girls teams have each won two Regional championships. And Schrock’s Smithville girls carried home the Div. II runner-up team trophy in 1994. A graduate of Ohio State University, Schrock, and his wife, Susan, also a teacher, have three daughters and reside in Smithville. Schrock’s first date with the WCSHOF came in 1994 when he was Kolic’s presenter. Now it’s his turn to be inducted.